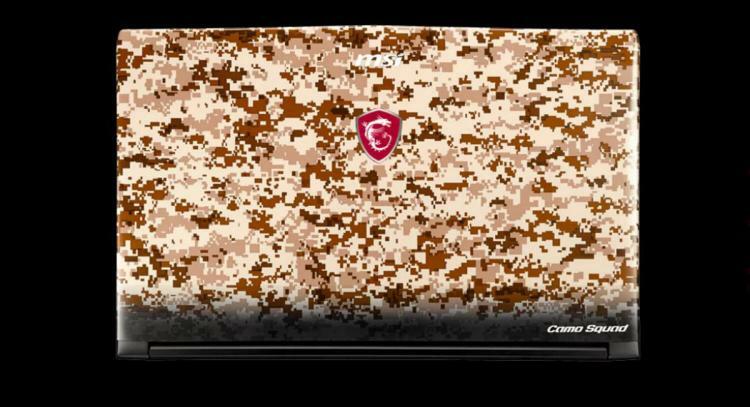 MSI introduces its first military-themed gaming notebooks – the Camo Squad Limited Edition GE62VR. 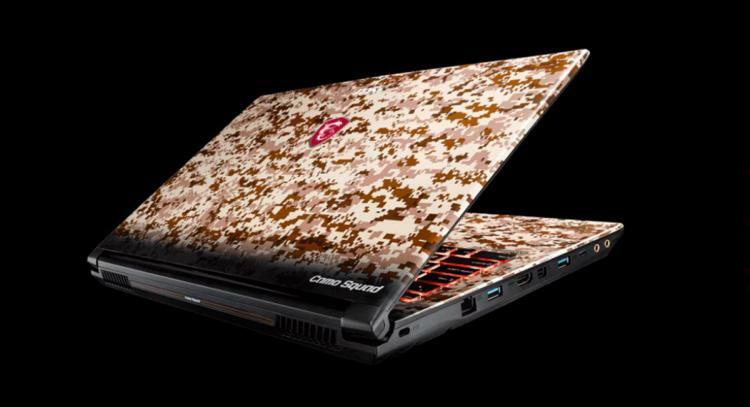 The notebook features a distinct camouflage skin that visually stands out in single glance. It comes with the latest Intel Core i7 processors and either a GTX 1060 or GTX 1050 Ti gaming graphics. The limited edition gaming notebook also comes in bundled with Tom Clancy's Ghost Recon Wildlands and the Season Pass; along with four other accessories including a camo laptop backpack, water bottle, dog tag, and a mouse mat. 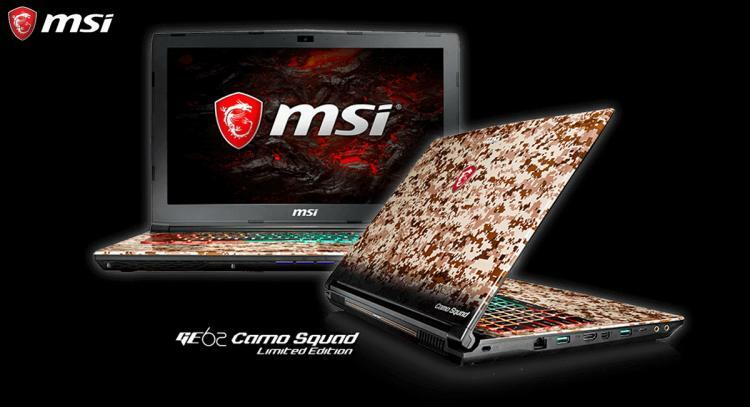 Check out MSI’s introduction video of the Camo Squad Limited Edition line up below. 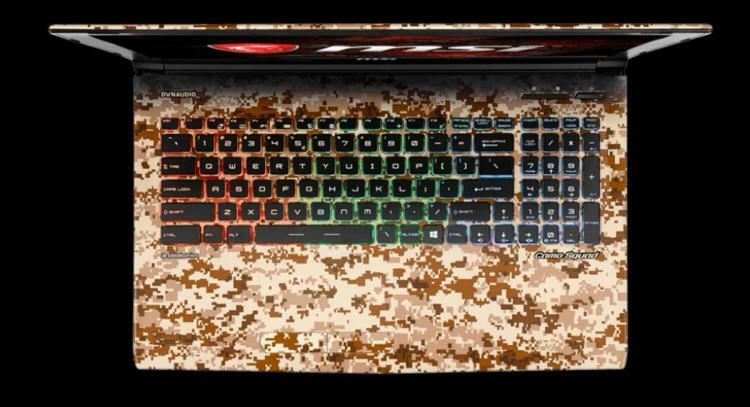 The Camo Squad Limited Edition GE62VR gaming notebooks packs an Intel Core i7 processor and a NVIDIA GeForce GTX 1060 or GTX 1050 Ti graphics along with up to 32GB of DDR4 SODIMM memory and ultra-fast M.2 NVMe PCIe Gen 3 x4/ SATA combo drive. The notebook is equipped with the perfect combination for high performance gaming without compromise. Tom Clancy's Ghost Recon Wildlands, Season Pass along with other accessories including a camo backpack, water bottle, dog tag, and a mousepad. These camo-themed accessories will elevate the gaming immersion as users explore and complete their missions in the Wildlands.